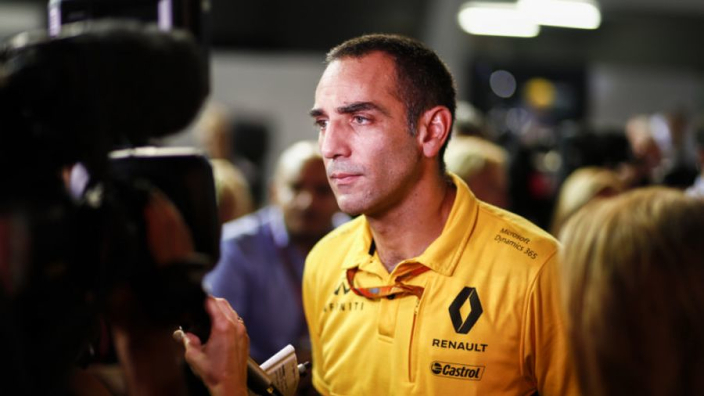 Renault team principal Cyril Abiteboul will not accept the French marque failing to match the power output of Mercedes and Ferrari in the 2019 Formula 1 season. Red Bull have ditched long-term partners Renault for Honda next year after growing impatient with an inability to keep the pace. Renault powered Red Bull's run of F1 dominance from 2010-2013, but Mercedes have taken over as the leader in the power stakes since the dawning of the V6 Hybrid era. The Renault works team has made steady progress since returning to F1 in 2016 and finished fourth in the constructors' championship in 2018, albeit some way adrift of Red Bull. Although Abiteboul accepts his team still have progress to make on the aerodynamic side of things, he will not accept a lack of power next year, having spelled out exactly how far behind Renault, as well as customers Red bull and McLaren, have been this year. "We're missing about 15 to 20 kilowatts of engine power [20-27bhp] in the race, which under certain conditions could be made up for by the Red Bull chassis," Abiteboul told Auto Motor und Sport. "With a customer engine from Mercedes or Ferrari we would have qualified in seventh place in Abu Dhabi. This shows that we have a better chassis than our [midfield] competitors, but also shows we are not as good as the three top teams. "That's why the main focus at first is on engine development. "Next year, I don't want to have to say anymore that we lacked too much power in qualifying. There's no reason why we shouldn't close the gap to Mercedes and Ferrari with the engine over the winter. With the chassis it will take a little longer."